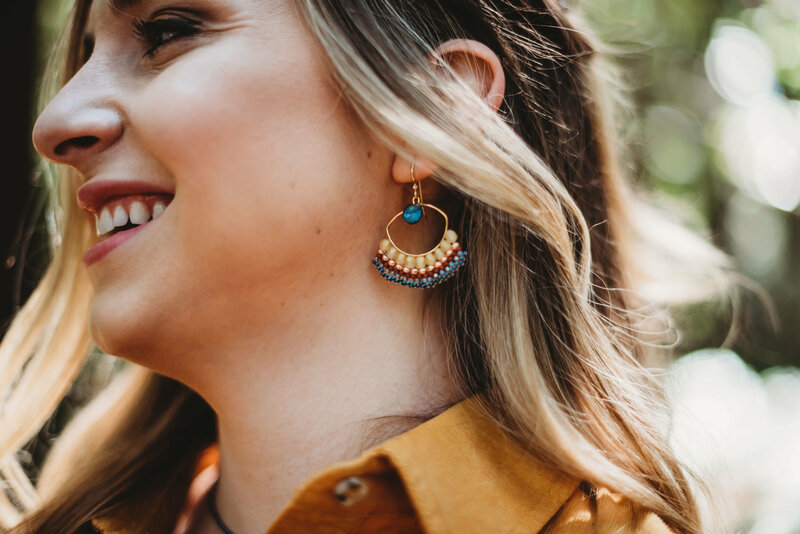 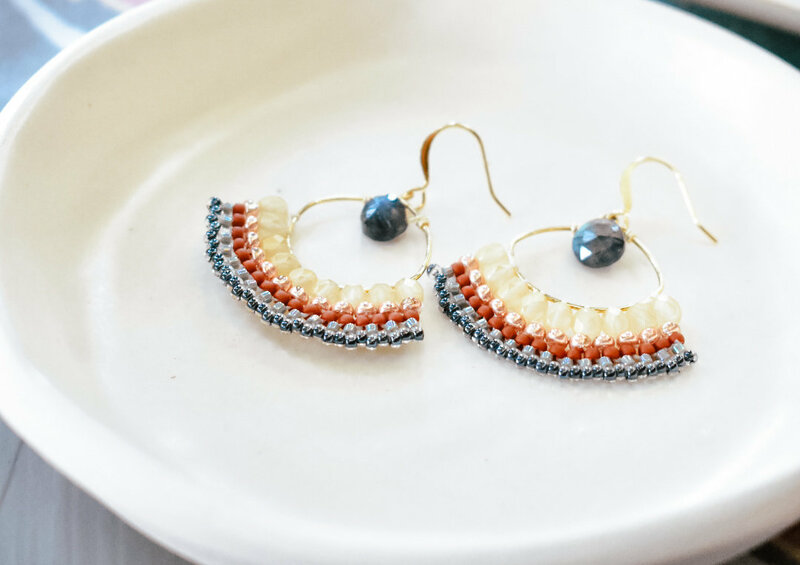 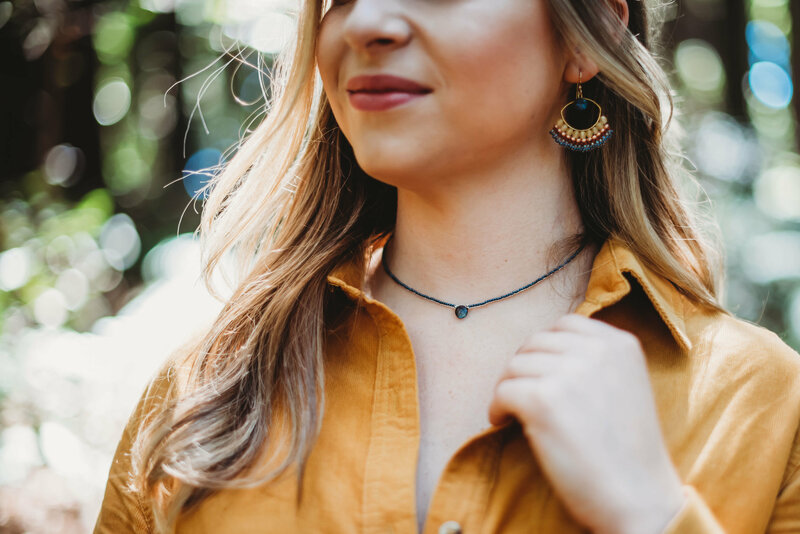 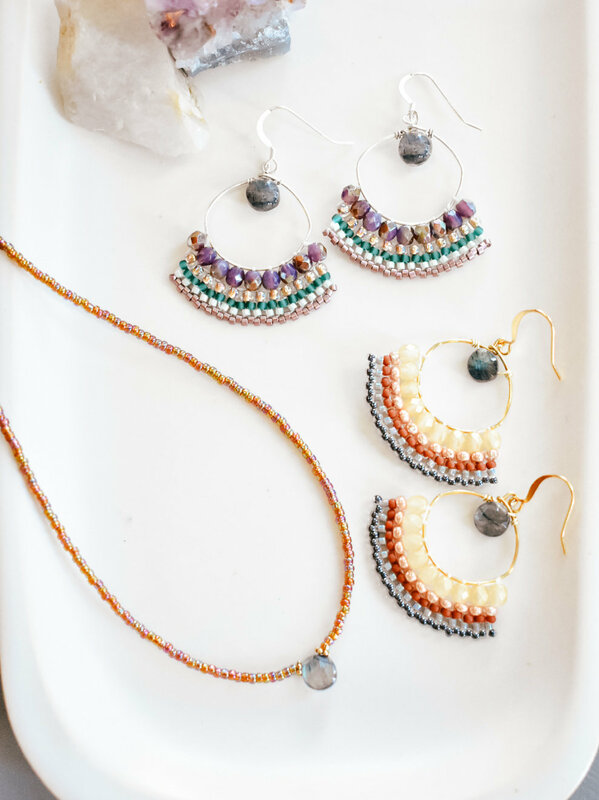 These flirty and fun boho chandlier earrings are handmade in Sonoma County. 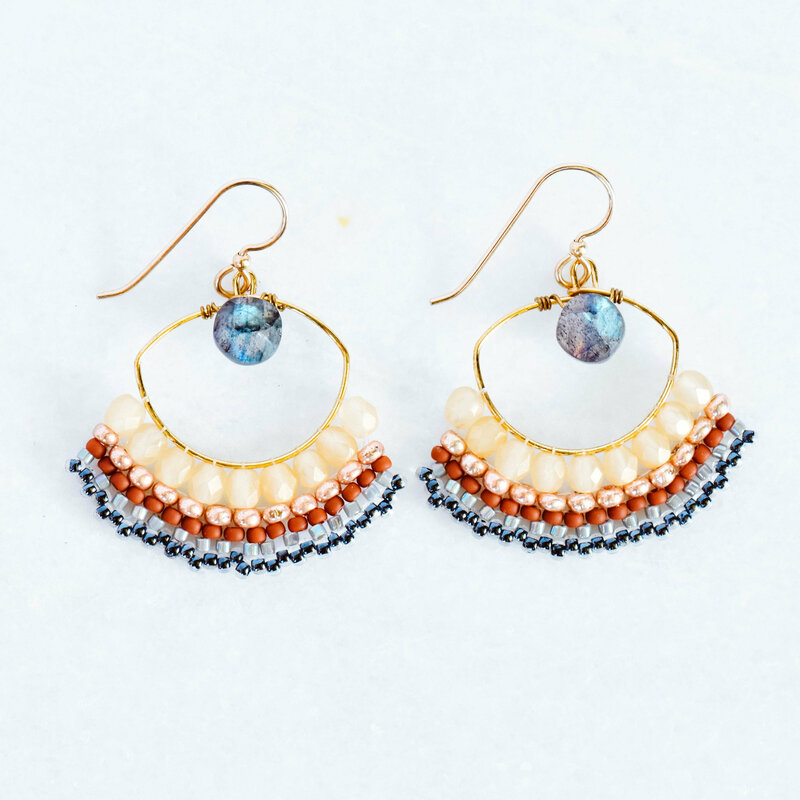 They feature labradorite, a stone associated with shedding negative energy from our minds and bodies. 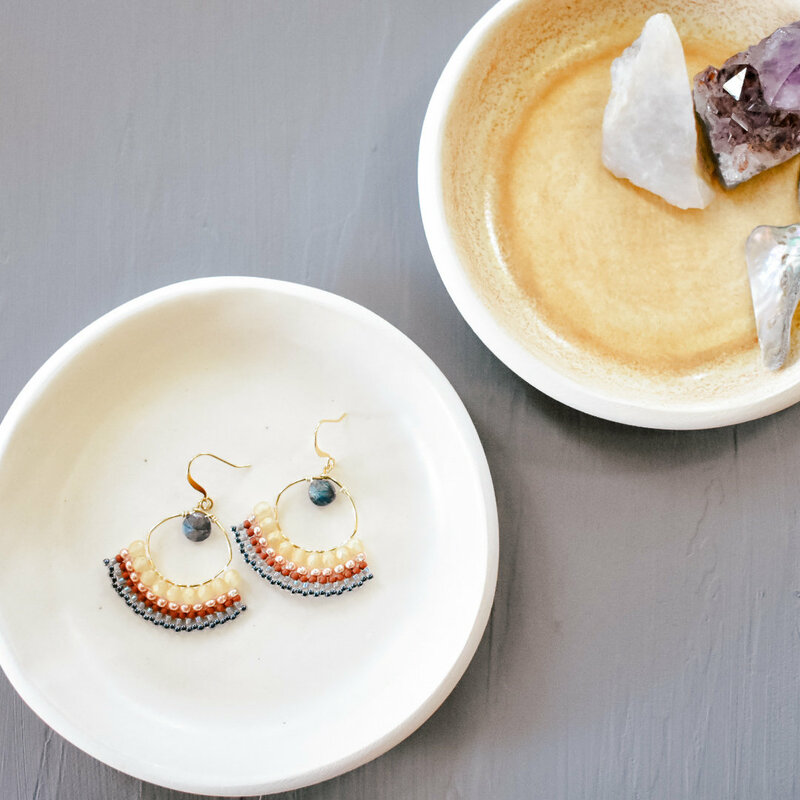 Step into a bright light with these beautiful earrings, made with hypoallergenic 14kt gold.